We’re just developing our online store and hope to have this up and running soon. Please email us at info@novalia.co.uk to place an order, and we will send you an invoice. Shipping takes approx 5-7 working days for the UK, and 7-10 for the rest of the world. Interactive Jungle PosterStand Alone Jungle Poster. 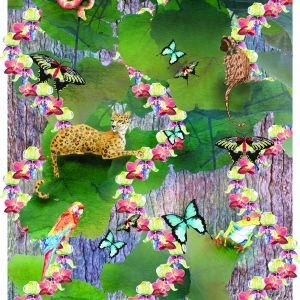 Find the hidden animals in this exotic scene to unlock different jungle sounds! £45 + shipping. Requires 3 x AAA batteries, not included. Interactive Circle of Fifths PosterOut of Stock! Pre-Order for 2017. This beautiful poster was created in collaboration with U.S. artist and musician Alexander Massar. 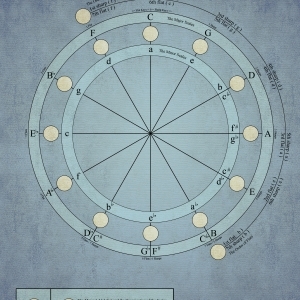 The poster is designed to teach people the building blocks of music theory and relationships between the scales using the Circle of Fifths. Each of the twelve interactive points around the circle will play its corresponding musical scale, with additional interactive touch points describing how to use the poster and descriptions of the order of sharps and the order of flats. 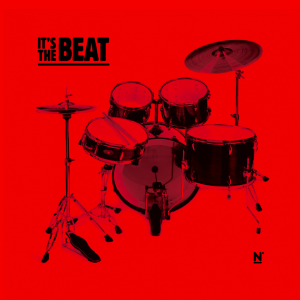 The music and artwork was composed and designed by Alexander and the interactivity provided by Novalia. £45 + shipping Requires 3 x AAA batteries, not included.